My origins lie in the very simple premise of making more with less. I had gone into the studio to make simple wooden forms. The first piece came about when two scraps from a crate were leaning up against one another. I continued from this simple arrangement, fabricating work using already cut pieces of lumber and plywood that I had in my various material piles. Plywood from old crates formed the bases of pieces completed with the cut-off from older wooden works. The rule I set for myself was to not think about it too much. Simply put: glue it, screw it and paint it. And so I did so. When I painted them, I made use of already mixed pots of paint. This was paint remaining from formerly completed works in my painting studio. This wasn’t so much about recycling and more about using what I had readily at hand. I had to augment some of these colors and in some cases mix new colors when the pieces called for it. To keep it simple, I kept the painting sessions to the barest amount of time necessary to get the color density right. I just wanted the color to act as a simple equalizer. 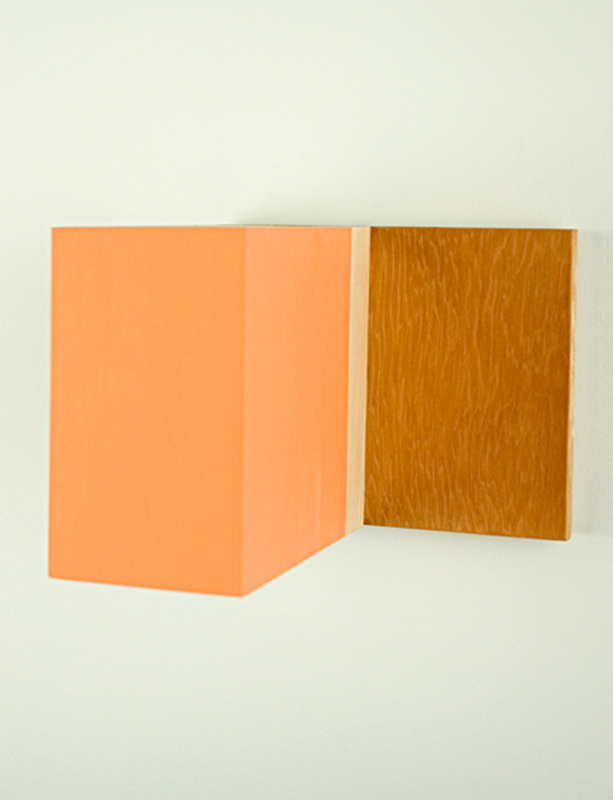 Initially color had to offer a balance against the obvious imbalance of the actual wooden forms. Over time the color has become functionally more structural to further assert the balances and imbalances in the pieces.